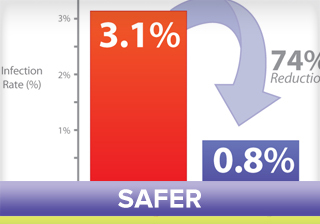 HotDog® Patient Warming is an air-free, water-free, state-of-the-art perioperative patient warming system. Efficient warming is delivered by a flexible, lightweight conductive polymer fabric inside of HotDog blankets and mattresses. 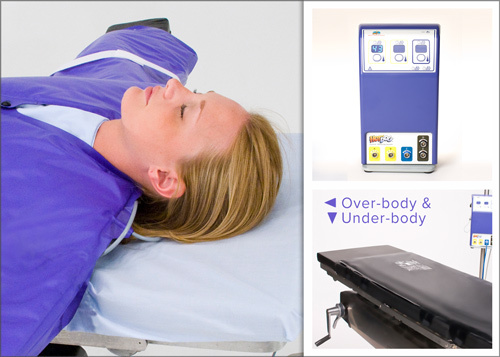 It’s the only patient warming system that warms the patient from above and below simultaneously, resulting in a uniquely versatile, less expensive, and more effective warming solution. 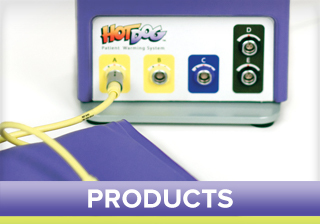 HotDog products can solve all of your perioperative warming needs. Effective patient warming without the worry of forced-air. 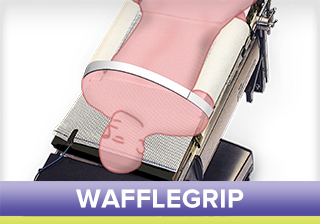 WaffleGrip for Trendelenburg Position and Warming.